Preheat oven to 400 degrees. Cut bread in half lengthwise, then into 6” pieces. In a mixing bowl, beat together eggs, milk, sugar, cinnamon, and vanilla. Soak the bread in the custard mixture until the bread is completely saturated. Pan fry the saturated bread in a hot cast iron skillet for 2 minutes on each side and then bake on a baking sheet for 10 minutes. Flip the bread and continue baking for 5 more minutes or until the outside of the bread is crunchy and the inside is tender and delicious. 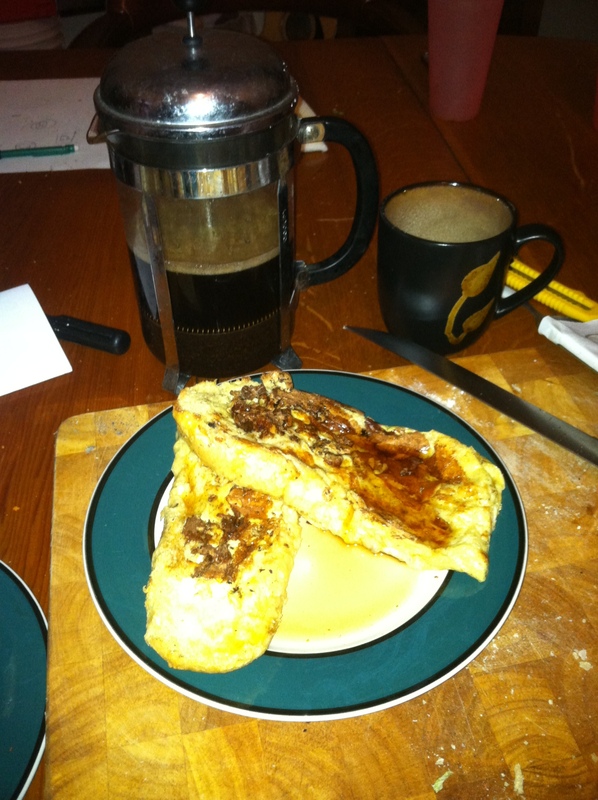 Cover with maple syrup and enjoy with chicory coffee.